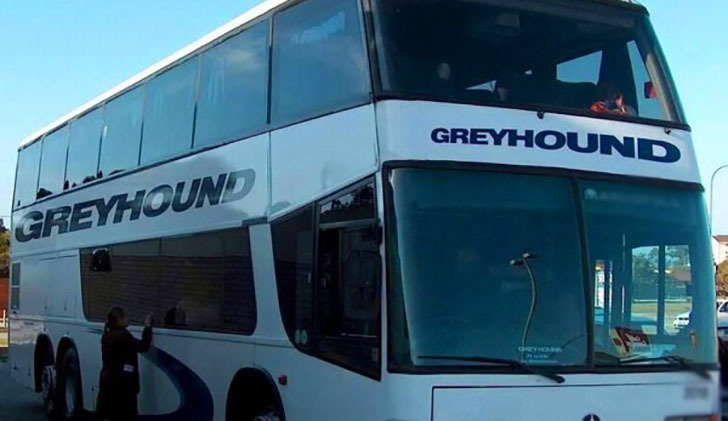 Greyhound has announced that it has cancelled all trips to and from Zimbabwe due to political instability in the country. 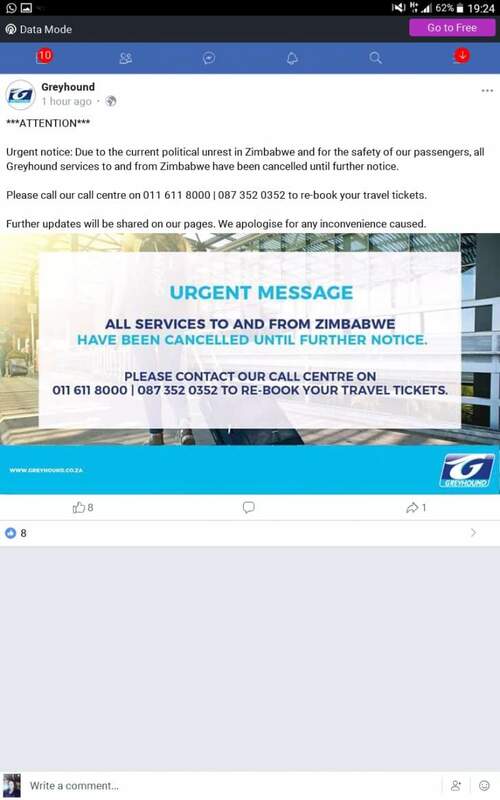 In an urgent notice on Tuesday Greyhound said: Due to the current political unrest in Zimbabwe and for the safety of our passengers, all Greyhound services to and from Zimbabwe have been cancelled until further notice. Please call our call centre on 011 611 8000 | 087 352 0352 to re-book your travel tickets. Further updates will be shared on our pages. We apologise for any inconvenience caused. Zimbabwe has been rocked by massive fuel protests that began on Monday. The protest have so far left five people dead and scores injured. On Tuesday members of the Zimbabwe National Army were deployed to assist the police in maintaining law and order.